Posted on 5, February 2016 by EuropaWire PR Editors | This entry was posted in European Union, Germany, International Trade, Transportation & Logistics and tagged Amadou Diallo, customs clearance service, DHL Freight, Marc Bernitt. Bookmark the permalink. BONN, 05-Feb-2016 — /EuropaWire/ — DHL Freight has introduced a new customs clearance service that makes shipping into the European Union for non-EU companies and their end-customers more convenient. As of now, the service is available for shipments coming into Europe via The Netherlands. 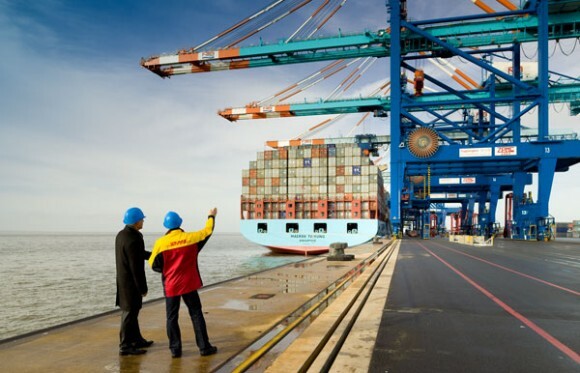 Thanks to the automated inbound solution developed by Gerlach, DHL Freight’s customs division, non-EU companies can now sell their products on the European market without having to build up their own infrastructure. Consumers who make purchases online from companies that are based outside the European Union but use DHL Freight’s new service, now get their goods delivered at home instead of having to pick them up at the customs office and pay import tax on-site. Considering the changes and developments coming along with globalization and digitalization, non-EU based shippers have to deal with different challenges. The internet allows companies to source and sell their goods anywhere in the world however, companies usually do not have a facility or branch in all markets. Different regulations, languages and cultural differences make it even more difficult for businesses to expand their offerings into new countries. In this context, local expertise is hence crucial, especially when it comes to customs and value added tax. Taking into consideration the regular issues shippers face with regards to intra-community EU orders, DHL makes it possible for companies to offer their own customers a transparent cost structure. When importing products into the EU from abroad, customs clearance and value added tax payments are often left with the final customer. This is very costly and inconvenient for the customer as they have little to no cost clarity in advance. In addition, they are troubled to pick-up their shipment at the nearest customs office. With its European network that includes 69 offices and 450 employees in eleven countries, Gerlach is fully equipped to handle these problems. When importing goods into the EU, typically all shipments are liable for duties and taxes. In addition, in order to be eligible for import activities, a non-EU seller needs an establishment within the European Union as a prerequisite for customs clearance. Subsequently, the newly launched service is specifically designed to facilitate imports into the European Union for these shippers, who can now benefit from low value duty and tax threshold for bulk shipments and can provide their own customers with a clear cost structure from the very beginning. The solution is based only on a few prerequisites: Power of Attorney for Gerlach, VAT registration and seller’s shipping data. Once in place and registered, entry data received from the non-EU seller could be automated and electronically filed with EU customs to provide for swift clearance at zero-duty level if requirements are met. The solution has already been successfully implemented and is being used by shippers from Asia and the US. Consignments are being consolidated and shipped via air and ocean to DHL’s gateway in The Netherlands. An integrated inbound clearance procedure enables direct distribution of parcels and pallets to clients across Europe. The solution has already been successfully implemented and is being used by shippers from Asia and the US. Consignments are being consolidated and shipped via air and ocean to DHL’s gateway in The Netherlands.